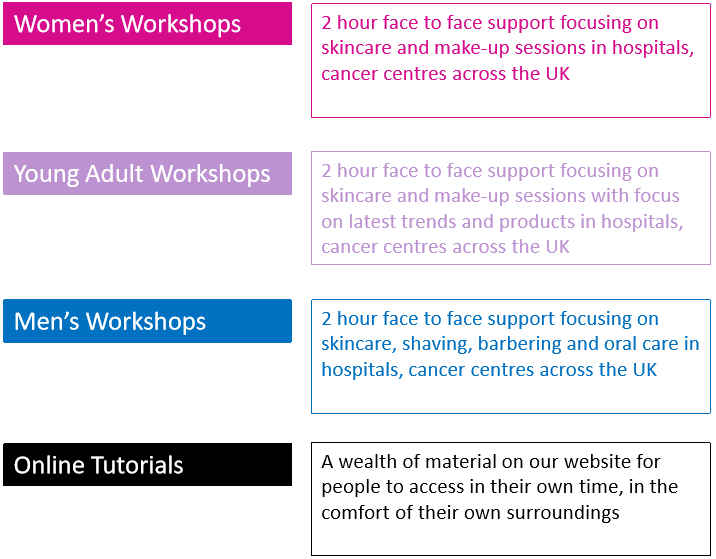 Since 2012, here at Grape Tree we have been supporting the ‘Look Good, Feel Better’ cancer charity that provides free face to face workshops that focus on health and beauty as well as online tutorials. The workshops provide a place for patients to meet other people going through similar situations to themselves, learn how to regain control over their physical appearance that may have been affected by their treatment and for them to experience some pampering to help them relax whilst rebuilding their confidence and self-esteem. Why ‘Look Good, Feel Better’? At Grape Tree we are passionate about looking after ourselves and feeling good, all our products have the aim of making us feel good whether that be actively doing us some good or something we have as an occasional treat. We fell in love with ‘Look Good, Feel Better’ as they are also passionate about making others feel good, so we immediately wanted to get involved. We have been supporting ‘Look Good, Feel Better’ since 2012 when Grape Tree first started out. These workshops cost £500 each to run that allows 10-12 people living with cancer to attend, since 2015, Grape Tree has funded 300 of these workshops and is working towards building this number as much as we can. For the 25th anniversary of ‘Look Good, Feel Better’ we want to make this our best year yet! Grape Tree stores are doing their bit to get involved and so can you by visiting their website: http://www.lookgoodfeelbetter.co.uk Keep your eyes peeled next time you’re in your local Grape Tree store to see what they are doing to help and how you can get involved. Visit the website: http://www.lookgoodfeelbetter.co.uk to find out more info and how you can get involved today!